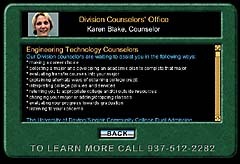 The Challenge- Recruiters at a local college knew that their engineering program was a winner… the only problem was communicating this to prospective students and to their parents. 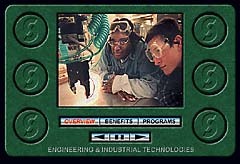 Students often did not understand the technology degrees offered by the college. Parents often associated the low tuition cost of the college with incorrect feelings of low educational quality. The Solution- DDM created a fast-paced marketing presentation that showcased the top quality laboratories of the college and touted its top ratings by the Board of Regents. 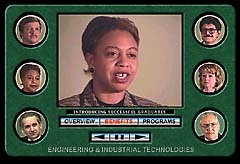 Video testimonials from former students showed the viewer what type of graduates performed. 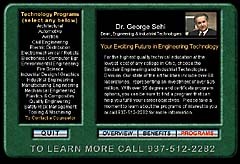 The Dean of the Engineering Division made a very personal and heartfelt invitation to prospective students to come to the college to learn more about careers in technology. The Results- Approximately 6000 copies of the CD developed by DDM have been distributed to date. At this run rate, the cost per copy of the CD (including development costs) is similar to the cost of a good quality print brochure. Yet, the CD developed by DDM includes professional narration, background theme music, animated graphics, video and more text information than would be normally included in a promotional brochure.